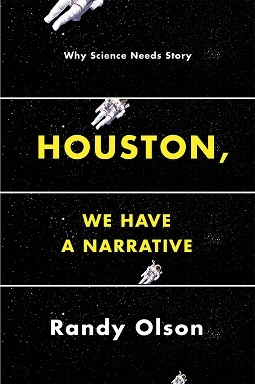 In Houston, We Have a Narrative, consummate storyteller—and Hollywood screenwriter and former scientist and communications expert—Randy Olson, conveys his no-nonsense, results-oriented approach to writing about science, the stuff of some of our greatest plots. On December 1, 2015, at 2PM, Olson will be leading an hour-long, online seminar for the AAAS (the American Association for the Advancement of Science, the world’s largest general scientific society). In addition to conveying the fascinating journey of how he left a tenured professorship in marine biology to write for the movies, Olson will let you know why—and, but, therefore—how. You can sign up for the webinar (12/1 at 2PM, EST) here. To read more about Houston, We Have a Narrative, click here.